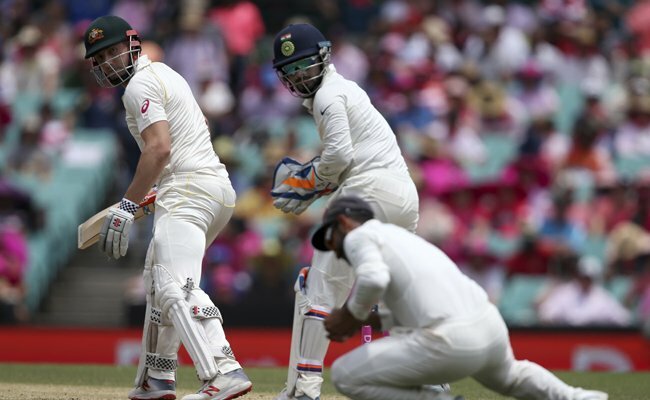 India-Australia last test match at Sydney was stopped on day 3 due to bad light. Australia were 236/6 on day 3 closing. Handscomb (28) and Cummins (25) are batting in their first innings. From India, Kuldeep Yadav took 3 wickets, Jadeja 2 wickets and Shami 1 wicket. Earlier, India declared inning at 622/7.